Syria conflict: Key moments Jump to media player Here is a look at the key moments that have led up a temporary truce in Syria. 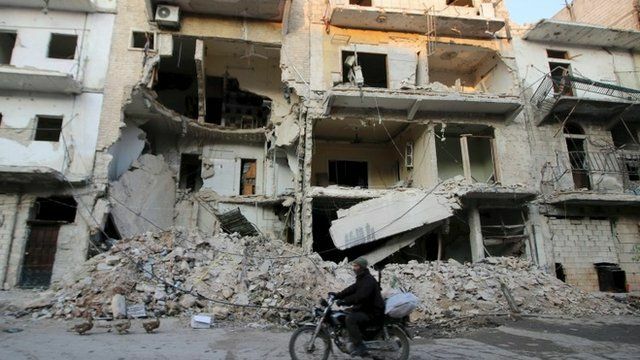 Syria ceasefire takes force on Friday Jump to media player A ceasefire will come into effect in Syria at 2200GMT on Friday evening, according to e plan agreed at a summit in Geneva earlier in February. UN agency attempts Syria aid drop Jump to media player The United Nations agency that provides food assistance during times of humanitarian crises has attempted its first airdrop of aid in Syria. Date set for Syria 'ceasefire' Jump to media player America and Russia have agreed to try again to implement a truce in Syria from midnight on Friday. A temporary truce has come into effect in Syria. If the "cessation of hostilities" holds it would be the first time a pause in Syria's five-year civil war has been negotiated by world powers.